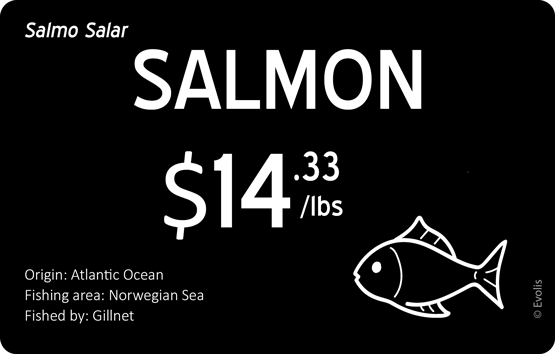 Price tags to make your labeling consistent and give your displays that fresh-from-the-harbor look. 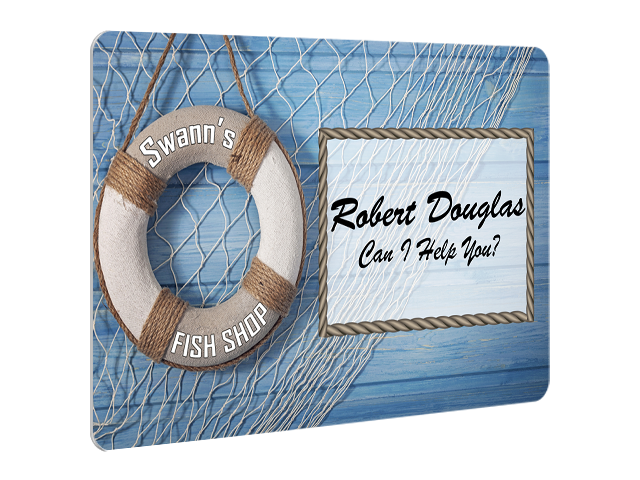 Design your own tags to show your brand logo, fish/shellfish type, price, etc. 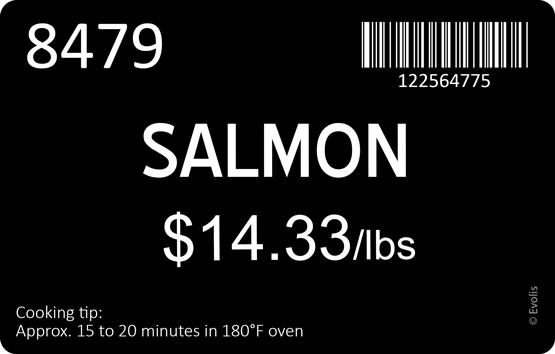 Print your own tags at your marketplace in about 15 seconds, on demand. The PVC tags are hygienic and easy to clean. The tags can be easily customized to show all mandatory information as well as the information customers want about allergens, the origin of the fish/shellfish and so on. 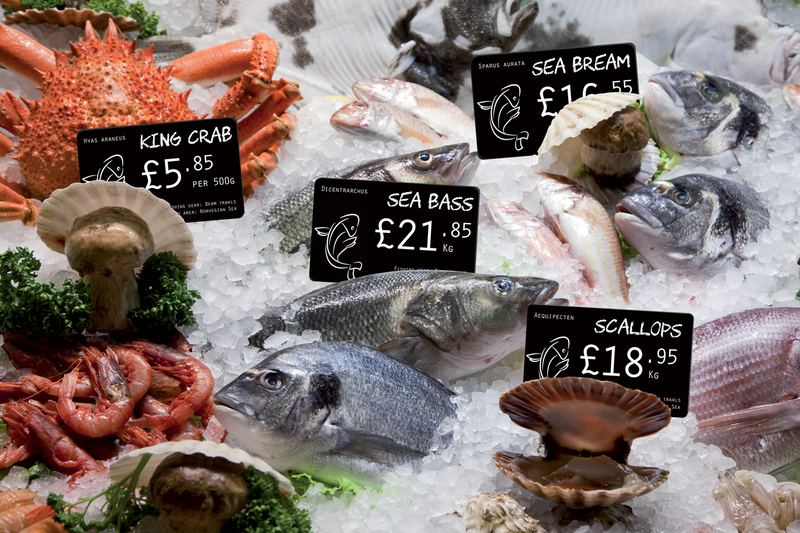 Create your own price tags on plastic cards for your Fishmonger shelves and find out how other professionals have adopted Edikio solutions for their businesses. Labeling solutions designed for commercial use and all types of food surfaces.